This beautiful personalised baby blanket makes a very special gift for a new baby, and is sure to be loved and treasured for years to come. 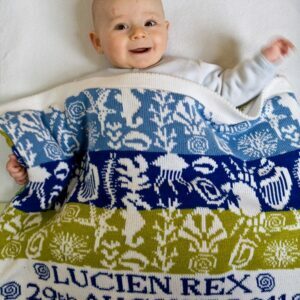 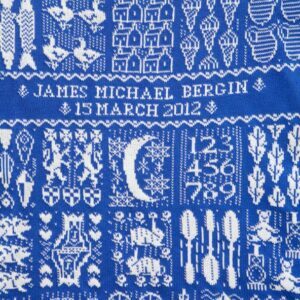 Each blanket is individually made and personalised with baby’s name and date of birth. 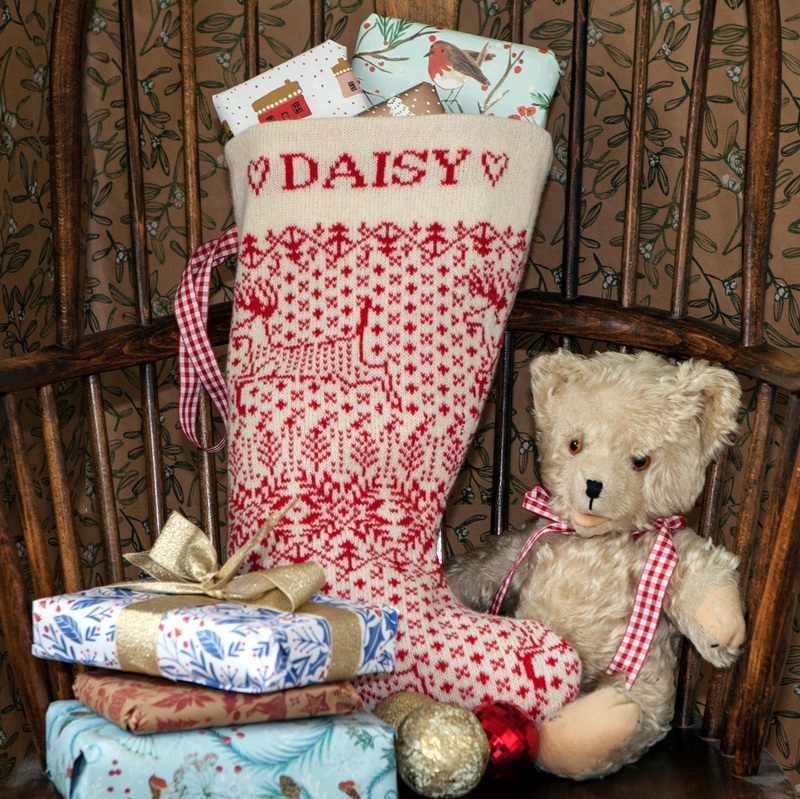 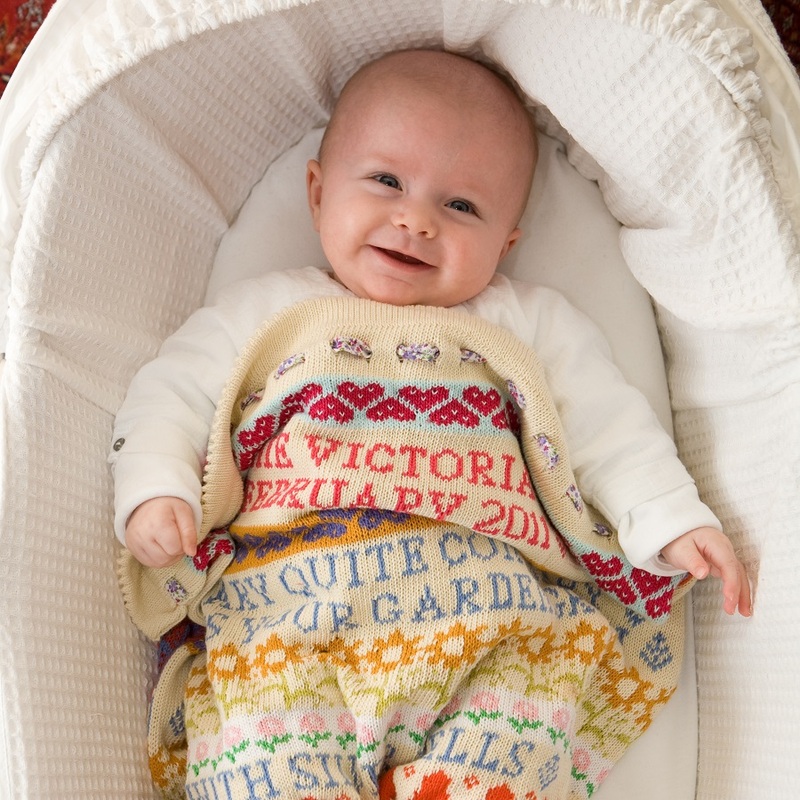 The People & Trees blanket is knitted in a traditional design, inspired by Victorian samplers. 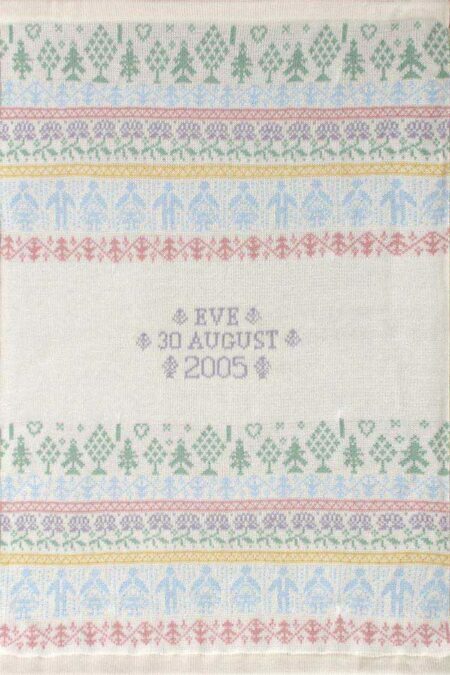 It is one of Charlotte’s most popular blanket designs and features people, trees, flowers and geometric motifs. 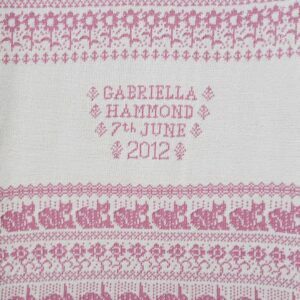 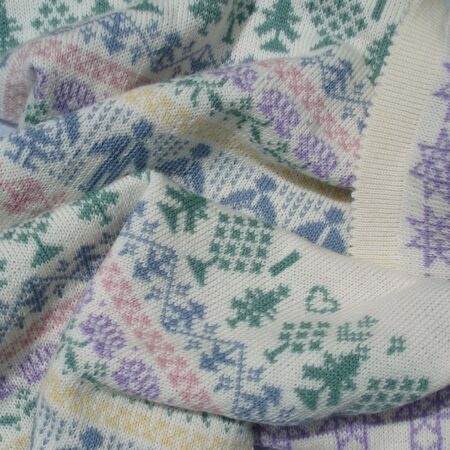 The People & Trees WELLS blanket is knitted in pastel shades of pink, lilac, blue, yellow and green on a cream background. 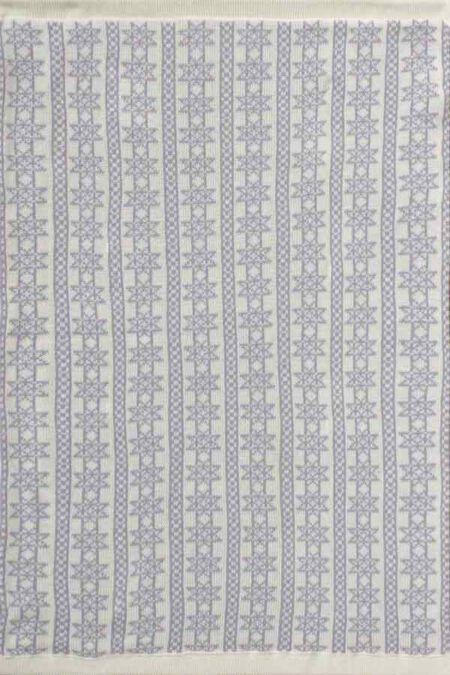 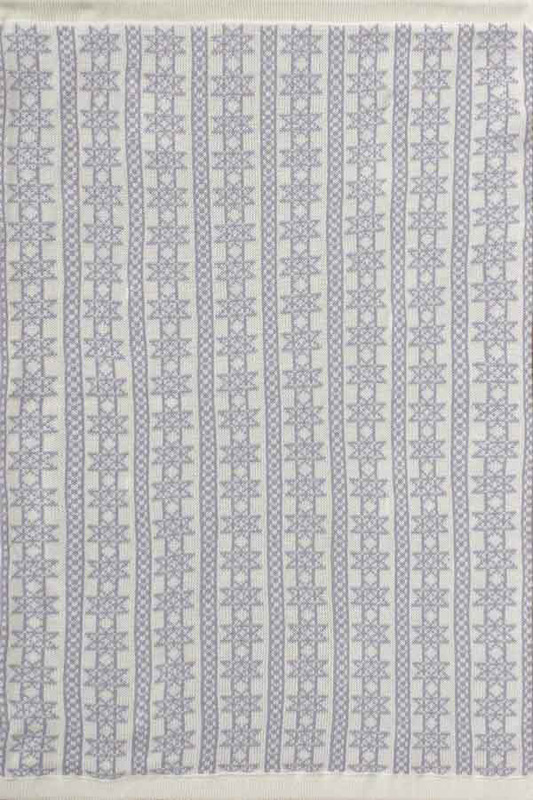 This blanket is made from two layers of knitted cotton (or wool) and has a complimentary geometric star design on the reverse, in cream and lilac. 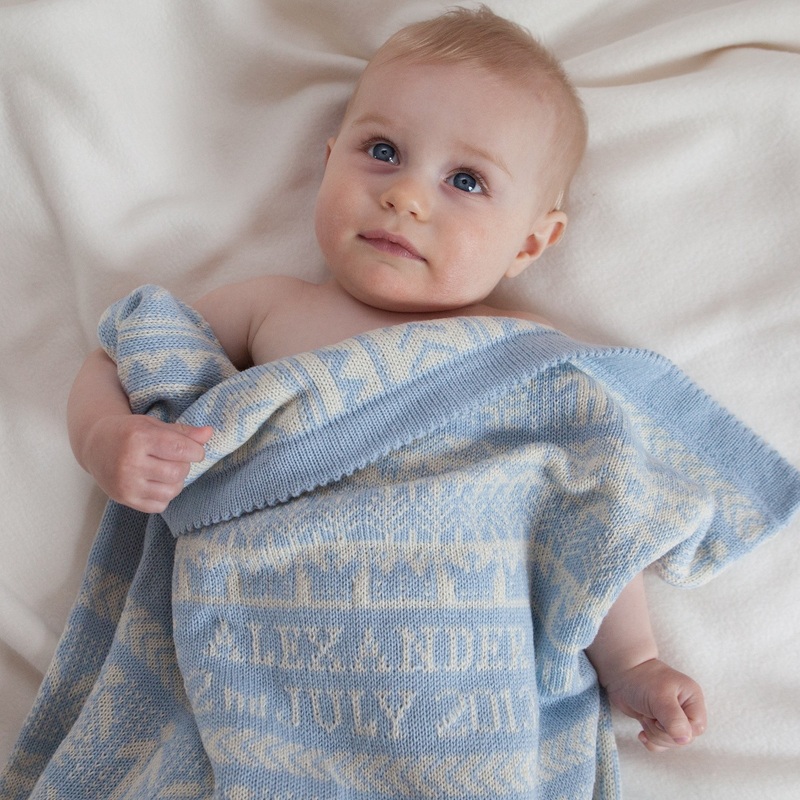 The cot size blanket is knitted in cotton, and quilted with a fine layer of cotton wadding. 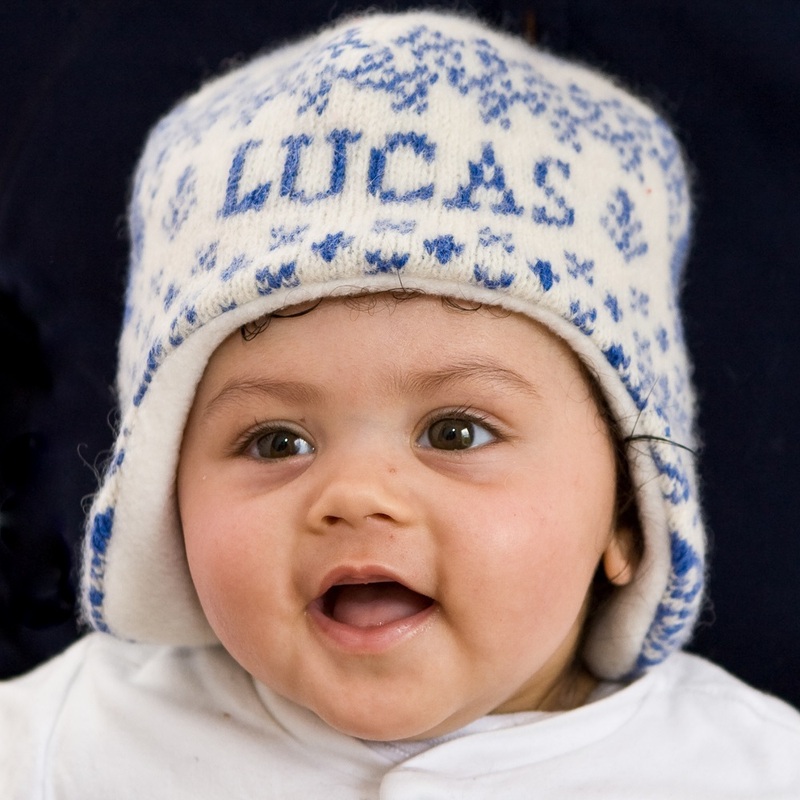 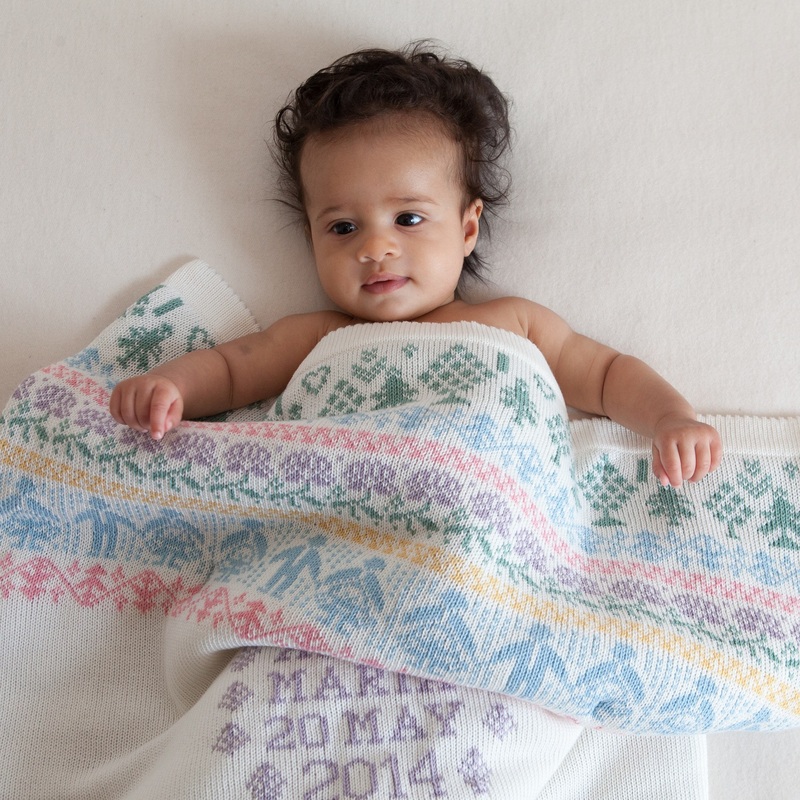 The WELLS baby blanket can also be knitted in soft merino wool. 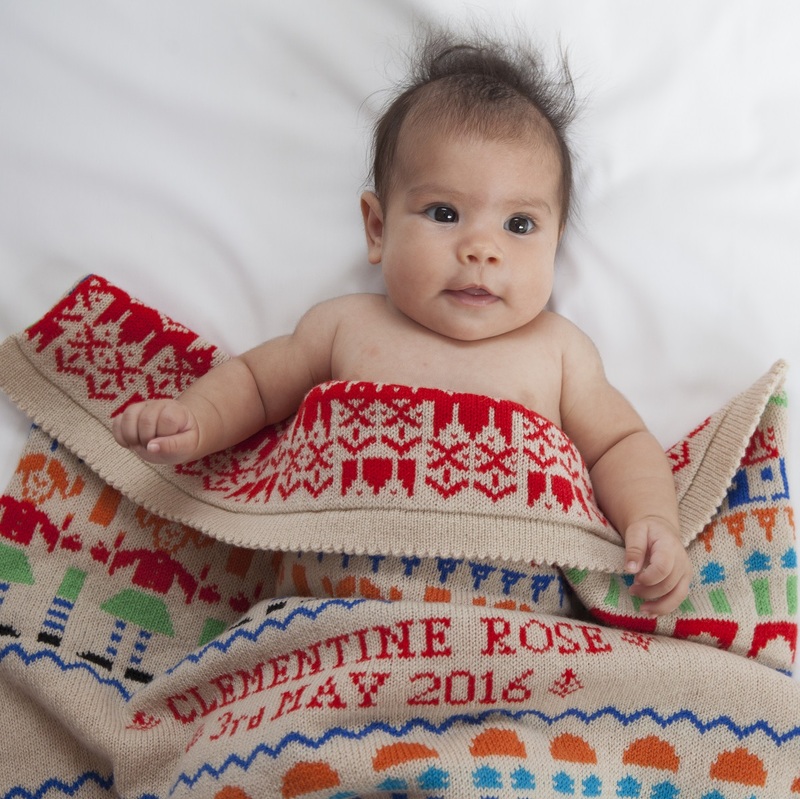 Each blanket comes beautifully wrapped in a handmade muslin bag, tied with pink ribbon – perfect for giving as a gift on the arrival of a new baby or to celebrate a Christening.